The year is starting to wrap up rather quickly. We’re on the cusp of venturing into the 14th year of the 21st century (trip out!). It’s at about this time that I generally start to put together my best of the year lists. Sometimes it takes some serious mental focus to recall everything I’ve been listening to over the past 364.25 days. Not the case this year. I’ve been kinda compiling my list as the months have been running into each other. And one of my absolute favorite albums/projects that came out this year was a project called Lux DeVille by 8thW1 (and entirely produced by PVD). I’ve been hyping this project for a minute now. You can go back and check out my track-by-track break down and review, or just stream it for yourself right here. I’m sure you’ll agree. 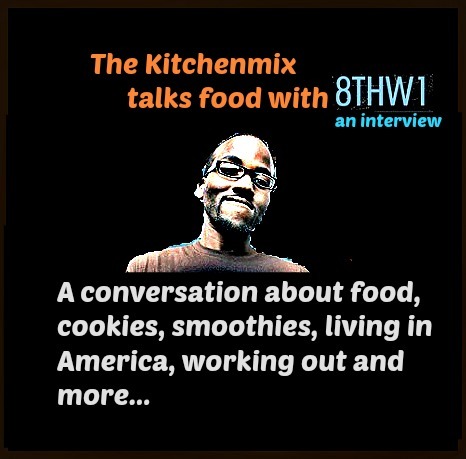 You already know I make it a point to talk with artists that are doing great things, which is why I had to set aside an hour and have a nice long conversation with 8thW1 (Darryl) about food, health, living in America, ideologies, recipes for cookies and smoothies, recording and so much more. Make sure to listen to the full interview down below. He broke down quite a few things that I think are important and gave some nice insight on several subjects that will surely interest you. So, peep that out. In the meantime, I’ve highlighted a few tidbits so you can get an idea of how the dialogue progressed. You gotta be careful with sugar. Especially, the more refined it is, the worse it is for you. There’s a lot of alternatives. 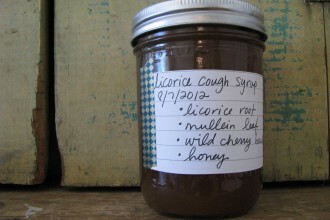 There’s ways to get around sugar. A key to managing sugar is staying active. There’s a documentary called Big Sugar. It talked about the business of sugar, the subsidies that the sugar industry receives, and the conditions that the sugar cane workers work in on the islands – they are very similar to slavery. I just remember thinking sugar is an evil thing. Sugar sugar sugar why can’t I lose weight? Sugar sugar sugar why can’t I concentrate? I think people don’t understand how important greens are. Greens are very, very important. It’s the closest thing we can get to eating or consuming – ingesting the sun. The chlorophyll soaks up all the sunlight. So, the darker the greens the better it is for you. I go back and forth between spinach and kale. No matter how far off my diet might get, I try to keep a connection with the Earth through that – greens. I’ve just come to realize that no matter what you do, especially in America, someone or something is going to suffer. That’s just the balance of life. Everybody can’t be equal at the same time. Everybody can’t be good at the same time. Do what works for you and make the most of what it already is. It’s understandable why people say that America is the best country on Earth – because we’re free and we’re big. And there’s different states – we could go to different states and it’s almost like going to a different country. We get the experience of 50 countries in one country. Americans are very very spoiled and very privileged. We just feel like we don’t have to do nothing and get everything. It’s in how Americans live and how Americans think. It’s an ideology. It’s not our food that kills us, it’s our ideology that kills us. It’s not the guns that kill us, it’s the ideology. It’s not the pills that kill us, it’s the ideology. It’s all in the ideology. Right at this very moment, I’m not writing a lot of stuff. I really want to be in a place where – I’m tired of writing songs about what I want to do. I want to write songs about what I am doing. I don’t want to write songs about what it should be. I want to write songs about what it is. My perspective from where I was (with Lux DeVille) is like a complete 180. I kinda like dropped the 8thW1 – even though in my heart I’m still 8thW1, I just want to be more myself. Now I’m getting older. And I’m taking on a more practical view of the world. Like I said, you’re definitely gonna want to make it a point to check out the full interview (so bookmark it and come back to it when you get a chance). If you still haven’t copped Lux DeVille, do that ASAP. Go back and check out 8th’s back catalogue and keep up with him on Twitter. File this one under “your favorite blogger’s favorite rappers.” Now excuse me while I continue piecing together my Best Of list for 2013…coming soon.